hear local djs droppin quality underground dance music for your head and feet. spinning the best in cutting edge house, techno, electro + disco. discerning dance music for to get your groove on. modern-day proselytizer of Enlightened Groove and master of the phenomenal funk, logan 5 is droppin a special 1.5 hr set via 2 ipads and a microphone. 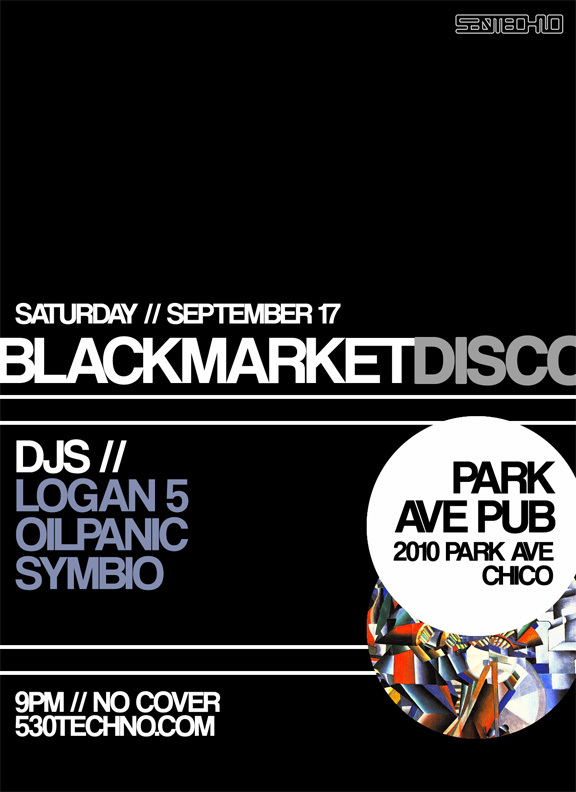 This entry was posted in Events and tagged Black market Disco, logan 5, Oilpanic, peter difalco, The Maltese. Bookmark the permalink.